It’s your first time in Belgium and you are sitting in a beautiful Belgian cafe, where you are presented with a beer menu with over 100 different beers to choose from. With all of the new names and new styles of beer, we understand it can be a daunting task to pick one. To help you, we have made this quick guide to our top 5 beers not to miss, so you will feel like an instant Belgian beer expert. One of the most famous trappist beers Orval has a complex and unusual flavour and aroma, produced by a unique strain of yeast. The beer is light in colour, slightly cloudy, and has a large, foamy head. Legend has it that Countess Matilda of Tuscany lost her gold ring in a well on the site of where the Orval abbey is now, and pledged that if it were returned to her she would thank God by building an abbey. The ring was brought to the surface by a trout, and the abbey was built on this very spot. The Orval logo of a trout with a gold ring is a homage to this story. You can still see the famous well in the grounds of the abbey. Popular with Belgians and exported worldwide, Duvel is a strong, golden pale ale with a unique taste. Each bottle is matured for 90 days in the Duvel Moortgat brewery, resulting in a deliciously refreshing beer with a fruity aroma and an impressive head. It is a perfect thirst-quenching beer, but beware, it catches many a tourist out! ‘Duvel’ is a local dialect word for ‘devil’. The beer’s 8.5% strength packs quite a punch and has left many enthusiastic drinkers with a devilishly bad hangover the next morning. You’ve been warned! For the true ‘beer tourist’ experience, you have to try Kwak. This beer has a deep amber colour and creamy, dense head. It has a caramel-like aroma with a spicy hop edge and hints of coriander and banana. Made by brewery Bosteels (founded in 1791), it is one of the most popular beers for tourists visiting Belgium, due to its fun and eye-catching glass. The brewery claims it was designed by innkeeper Pauwel Kwak in the early 19th century for coachmen who would stop at his coaching tavern. At that time the coachmen could not leave their coaches and horses to enter the tavern, so Pauwel Kwak had a special glass blown that could be hung on the coaches while the coachmen waited for their passengers. 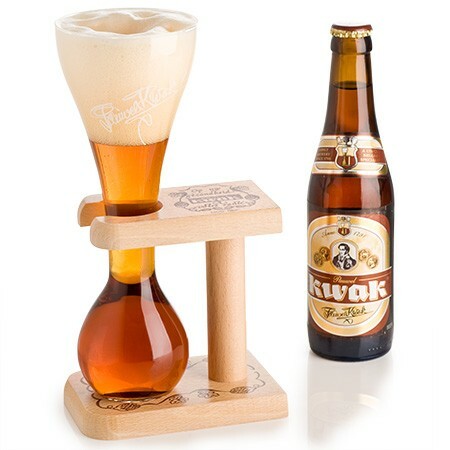 Another reason why the beer is called ‘Kwak’, is the noise you hear when you drink the last gulp quickly and the beer sloshes against the bottom of the glass, making a ‘quack’ noise. 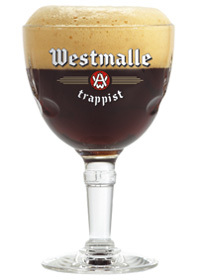 Another trappist beer for you to enjoy. Westmalle Dubbel is a dark brown beer with a rich and complex flavour that is owed to its secondary fermentation in the bottle. It is herby and fruity, with a fresh-bitter finish and a creamy, fragrant head. The monks at the Westmalle brewery have been proudly making beer since 1836, and it is a popular favourite for many Belgians. It is also used in ‘stoofvlees’, one of the Belgian national dishes: a simple beef stew with brown beer. Kriek bier is a special style of Belgian beer. This one is made with fermented sour Morello cherries. 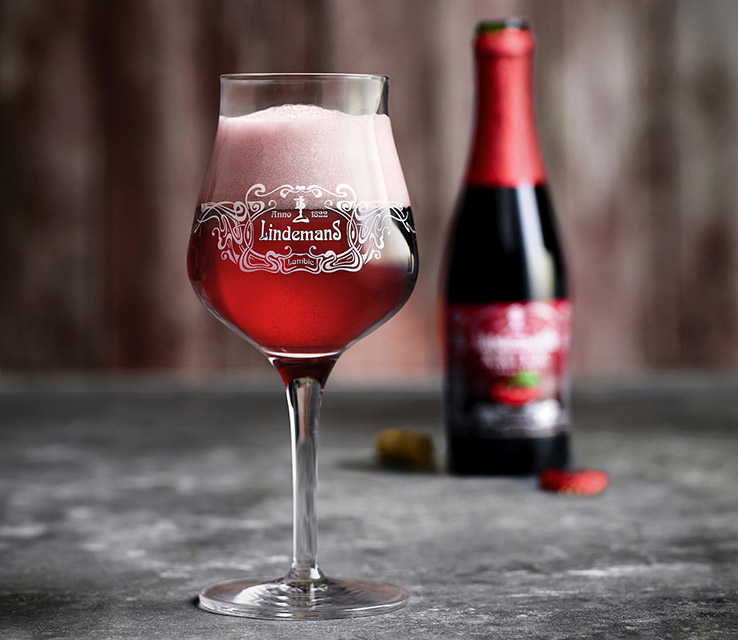 The Lindemans brewery, situated near Brussels, produces the finest kriek beer. They go a step further than other breweries, by adding freshly picked, whole cherries to the brewing process, resulting in a beautifully deep red colour. This beer is deliciously fruity and has the perfect balance between sweet and sour. Lindemans Kriek is a refreshing alternative to some of the other heavier styles of Belgian beer. We would love to hear about your favourite Belgian beer(s). Are there any beers that should be on this list? Would you like to know about any specific beers? Let us know in the comments section below and we will be happy to answer your questions. Belgian beers are certainly hard to beat and you have such an amazing variety.Looking forward to returning to Belgium to sample more. Very true 🙂 Let us know what beers you’ve tasted (and liked) when back in Belgium! No other country can match Belgium for the variety and quality of their beers. There is so much choice and plenty of refreshing, lower ABV beers to try, as many are quite strong. 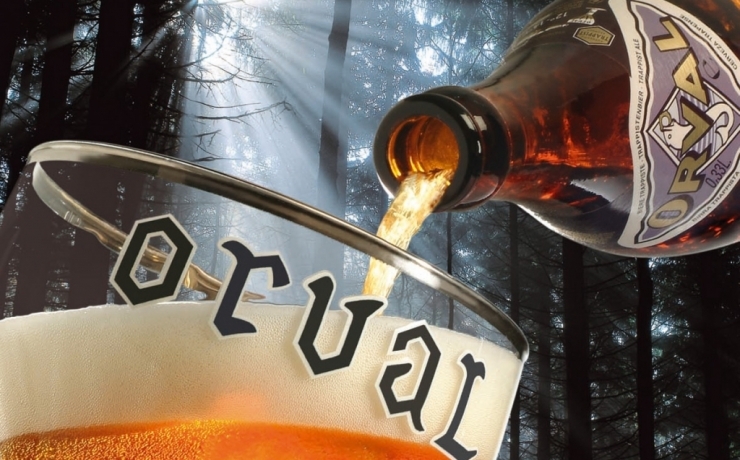 There is nothing better than sipping, (not quaffing,) a lovely Orval, Omer or Westmalle in a traditional Belgian cafe or bar.